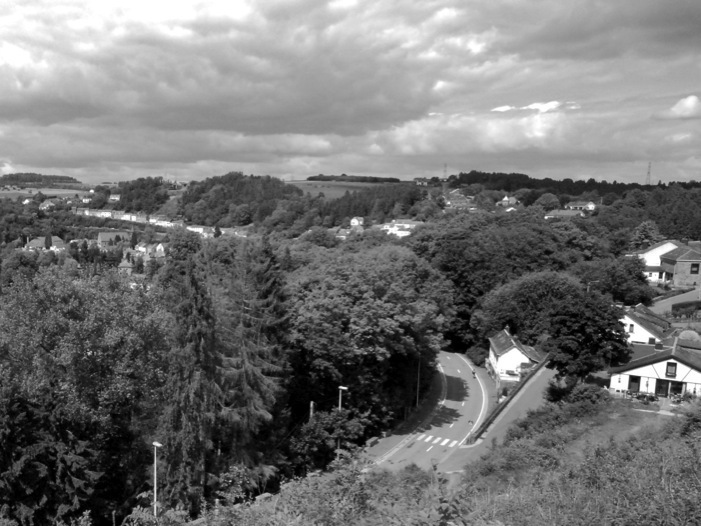 I Live in Luxembourg just south of the limit of the Bulge created by the German advances of December 1944. I can travel for half an hour, and I am on site ! My objective is to follow-up on an old idea I had of re-tracing the events of the Battle of the Bulge, from a modern perspective using my camera as the driver. The source of my steps is taken simply from some 1940’s art work I discovered when reading some rather good books published on the Battle of the Bulge. Both books listed below feature artwork by US military artist Harrison Standley. The blog entries are dated and should be read in sequence if you are first time visitor. Go first to the Archive and click on Houffalize then you can start reading. Published and Edited by the Bastogne Historical Centre. The Battle of the Bulge, Patrick DeLaForce,, Hitler’s Final Gamble. I will try to remain as correct as possible with my historical statements in this Blog. I apologies for any errors in the text, so please let me know where my understanding is incorrect.